Making sure your golden retriever gets plenty of exercise is about more than just keeping your pooch healthy. While exercise is necessary to ensure your dog doesn’t get too heavy or develop other health problems from inactivity, it also gives you a unique opportunity to bond. Keep in mind that healthy adult golden retrievers should get about an hour of exercise a day, with some needing more and others maybe less. You will notice that if you don’t provide enough exercise, they may turn to destructive behaviors. If you are looking for fun ways to exercise your golden retriever, consider these 14 options that will help keep your pooch happy and healthy. The list starts with outdoor activities before transitioning into indoor options that you can do on rainy or cold days. The most obvious way to exercise with your golden retriever is to simply take them for a daily walk. Your pooch will gladly walk alongside you for an hour or more a day since this breed is very athletic. If you enjoy jogging or running, take your dog with you next time. 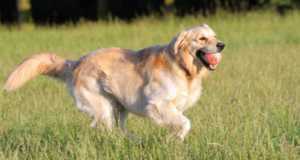 Because of their build, goldens have no issue keeping up with human runners, even those who go running regularly. 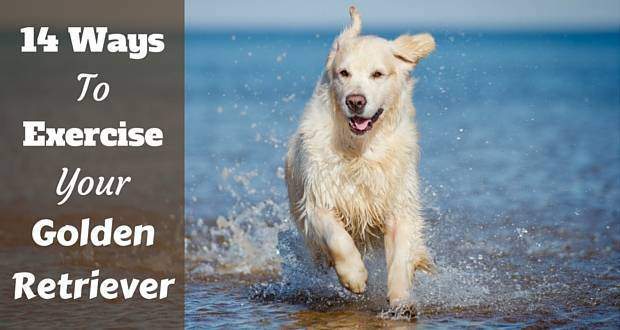 As a bonus, walking or running with your retriever will help you stay active as well. Another obvious but fun way to give your golden retriever exercise is to play fetch. Go to your backyard or the local park and throw their favorite toy. Wait for them to bring it back and throw the toy again. Remember to give your dog breaks and think about their personality. If, for example, your golden tends to get easily distracted, try playing fetch in an enclosed area to keep them concentrated on you. Also, make sure to choose an appropriate object for the game. Avoid sharp or heavy objects that can hurt your retriever; instead, stick to balls, squeak toys, small sticks, ropes, or other vet-approved toys. Best of all, you can also play fetch on a smaller scale inside if the weather is bad or you feel too sick to go outside. If you are tired of simply walking or jogging around the neighborhood, then plan a more exciting trip and take your golden retriever hiking with you. Always be sure to check whether the trail or park you plan on hiking in is dog friendly and whether your canine needs to be on a leash while there. Remember that hiking requires a great deal of athleticism and can be very tiring. 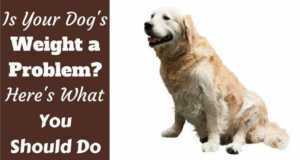 If your golden retriever is sick, young, or old, ask your vet whether they are up to the task. Be sure to bring plenty of water and a bowl with you and let your golden pause to drink at regular intervals. During the hike, try to aim for soft terrain and stay clear of dense underbrush and sharp rocks since these can damage paws. 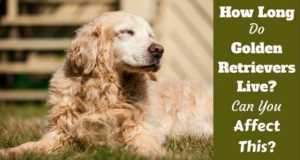 When you get home, give your retriever a thorough bath or brush out and check for fleas and ticks. If you take a look at the history of the golden retriever, you’ll see they were bred to be hunting dogs. Although they are now frequently family pets with humans who have no intention of hunting, this is still part of their genes. You can take advantage of this, get outside, try something new, and let your retriever do what they were bred to do. They will truly enjoy field retrieving and hunting with you and this will ensure they stay in great physical shape with strong muscles. Hunting with your golden will also promote bonding. It’s not the easiest of things to get into, your dog will have to be trained to a fairly high standard first, but if you can find a local hunt willing to allow you and your dog to take part, it’s a great way to be out in nature and for your dog to do what they were born for. 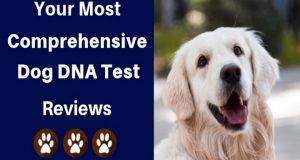 Golden retrievers tend to enjoy doing dog agility training and is a good way to keep your pooch occupied in every way possible, both their body and mind. It also helps you build a bond with your golden as you work together towards a common goal. Depending on where you live, it should be easy to find an agility group. If there isn’t one in your area, you can do a bit of research and set up your own mini-agility course in your backyard or take a portable one with you to the local park for more space. You can even adjust this activity for inside play on rainy days. 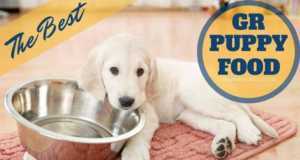 Set up items like tables and hula hoops and get your retriever to go around, under, or over them. You can even work on balancing on top of smaller items. 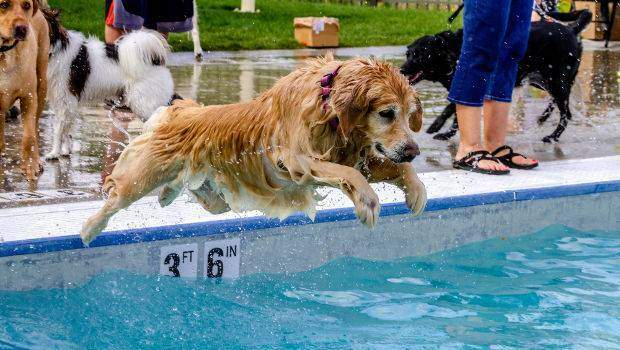 Swimming is another great way to exercise your golden retriever and it will let you both stay cool on a hot summer day. Retrievers tend to be natural swimmers and because of their special coat, do not feel the cold and dry off quickly so can partake in cold winters as well. If you aren’t lucky enough to have a private pool, bring your dog with you for a day at the lake after making sure it’s dog-friendly. You can even just invest in a small kiddy pool, fill it up, and watch your dog go crazy. If you do plan on swimming with your golden, remove any collar or other apparel they may be wearing and always keep an eye on them to make sure they are safe. While these dogs are typically excellent swimmers, accidents can happen, especially with a collar getting snagged. You can even find a doggy life vest if you want to be extra safe. When swimming with a puppy or recently-adopted golden that isn’t used to the water, take it slow. Also, make sure to give your dog a thorough bath after swimming in a lake or pool to get rid of chlorine, dirt, and other items that can cause irritation. Even if you have a small house, you aren’t limited to walking or jogging your golden outside. Many dogs can be trained to get comfortable on a treadmill. Start off by simply having them in the same room as the machine while it is on so they can get used to the sounds and sights. You can then turn off the treadmill, get them to stand on it, and give them a treat. After they seem comfortable, turn it on at a very low speed and encourage them to stay on with treats. Over time, you should be able to increase the speed of the treadmill to the point where your golden retriever can eventually get a good workout on it. If they have problems getting used to it, try standing in the front of the treadmill and giving them the occasional treat for motivation. Remember to always supervise your dog when they are on a treadmill and never tie them to it. If you discover your dog is one of the many golden retrievers who can’t get enough of the water, then try taking them dock diving. This is simply a combination of swimming, diving, and fetch. Grab a floating toy that your dog loves and throw it into the water. Wait for them to swim and retrieve it, then repeat the action. Many areas even have dock diving groups and you only need a safe area for swimming. Before dock diving with your golden retriever, make sure they are a confident swimmer and check the area for potential dangers such as hidden rocks or other objects in the water. Cats aren’t the only animal that can enjoy playing with a laser pointer. In reality, dogs such as golden retrievers can have plenty of fun with these toys as well. Simply shine it around the room or any other indoor space and watch them follow and chase the red dot. When using a laser pointer, always be careful to avoid shining it in your pooch’s eyes directly. If this happens, it can lead to retinal damage. 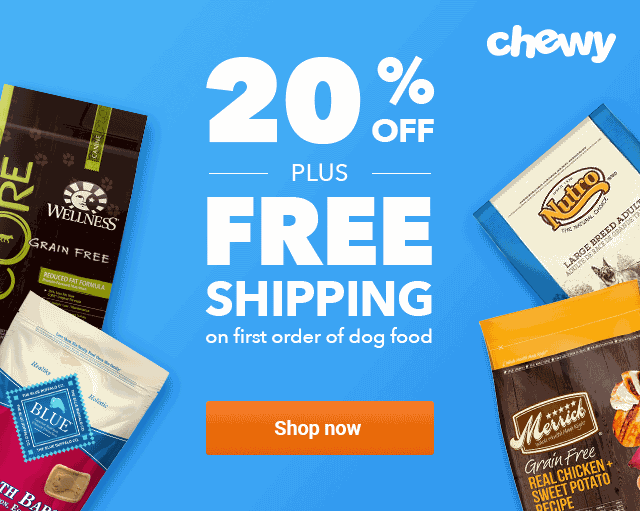 All dogs love treats and you can take advantage of this to give your golden retriever some exercise on a rainy day. Take some of their favorite treats and hide them around your home in various places. Consider putting them underneath rugs, behind chairs, under tables, or behind doors. Your dog is likely to get exhausted looking for the treats and get a great workout in the process. Your golden retriever may even get enough exercise from a toy that dispenses treats when they solve a puzzle, but it depends on the animal. Just remember to restrict yourself to a reasonable number of treats. Giving them too many can make them sick or defeat the point of exercising by leading to weight gain. 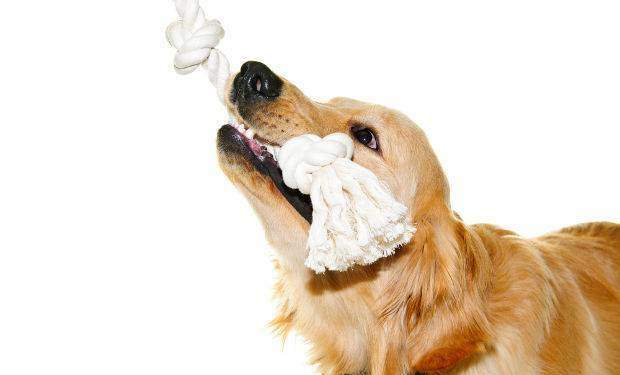 Although tug of war is the perfect game for giving your golden retriever exercise inside, you can also play this game outside. The concept is straightforward, but be sure to get a rope designed for dogs so it won’t hurt their teeth or contain harsh chemicals. You should only play tug of war with your dog if you’re able to remain firmly in control. For some dogs, this will trigger aggressive or predatory behavior that is not good in a domesticated animal. If you notice these issues, stick to a different form of exercise for your retriever. If you are concerned about giving your golden retriever too many treats, you can adjust the above game to hide yourself instead of treats. Distract your pooch by giving them their favorite toy to play with. As soon as they get distracted, go to another area of your house and hide. They will start to run all over the place looking for you, mildly exercising themselves. If for some reason they don’t start looking, give them the “come” command to start the search. Suddenly the game is not only exercise, but it also reinforces training. 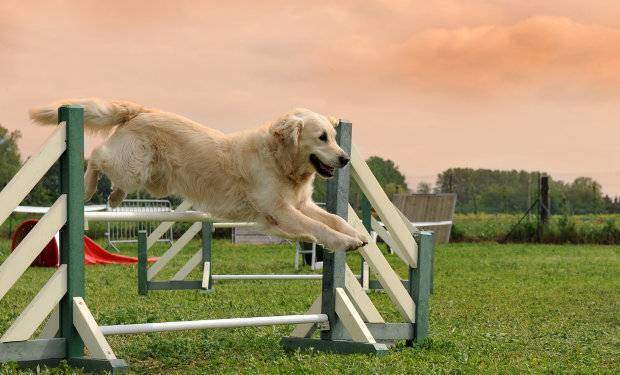 Jumping is another way to get your dog to burn plenty of calories even if you are stuck inside. You can encourage your dog to jump in plenty of different ways. One option is to grab your golden retriever’s favorite toy and squat down on the floor with it. Tap them on the nose so they know you have it, then stand up and hold the toy over your head. They will jump up to try to reach it. As a bonus, this method also lets both of you work on your leg muscles. An alternative is to encourage your dog to jump up and down with the help of bubbles. Just make some non-toxic bubbles like you would for your children or buy a pre-packaged solution. Blow the bubbles up high into the air and watch your dog go for them. This exercise method has even caught on enough that you can find bubbles for dogs in fun flavors like peanut butter and chicken. If you use bubbles, always make sure to pick non-toxic ones that are safe if they are ingested. No matter which method you choose to exercise your golden retriever, the goal is to have fun, keep them healthy and mentally stimulated. Always make safety a priority and find an activity that you both enjoy doing. Soon you will look forward to play time as much as they do. Previous: Leash Training Your Golden Retriever for No More Pulling! 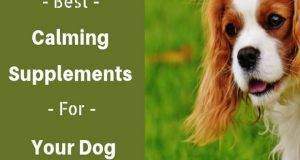 Your Guide to Calming Supplements for Your Dog: What Should You Look For? I have read that laser pointers can have very adverse effects due to the fact that the dog can’t actually catch it. I have read a few stories online about dogs who this was the only form of exercise they got and it made them extremely anxious. They exhibited extremely anxious behaviour. Please look into this one before using it. I have read similar things, but believe it’s only a problem when done to excess and taken to the extreme, not as just an occasional thing. But certainly caution should be exercised, not to overuse it or ever drive your dog to extreme levels of frustration as that of course can’t be good in any way.